The new franchise-specific store is the first of its kind, but could more be on the way? Did you know that the Skylanders franchise is popular enough to warrant its very own retail outlet? Apparently it is, and this coming Saturday, November 17th, Activision will cut the ribbon on the very first Skylanders store in Copenhagen, Denmark. The catch? The store is only open until January 31st of next year. 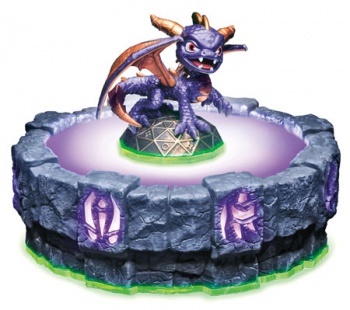 "The Nordic market, and especially Denmark, has given Skylanders a good reception," explains Ian McClellan, Activision's European Marketing Director. "We want to give the loyal fans something in return and at the same time create some buzz around the new Skylanders Giants." McClellan's choice of words - regarding the Denmark location as "the first" Skylanders store - leaves the door open for additional franchise-specific stores in the future, though no formal announcements have been made. The first 1,000 customers to visit the Copenhagen outlet will get some free gifts and can get their photo taken with a Skylanders character. It's clear that the new retailer is targeted primarily at youngsters, as is the franchise itself, though I can't help but wonder whether a "Call of Duty Store" has crossed Activion's mind as well. I imagine camping supplies would sell like hotcakes.